If you landed here, you are probably frustrated when all of a sudden QuickBooks stopped printing payroll tax forms to PDF. Until either QuickBooks or Adobe provides a fix, here are two work arounds beginning with the simplest. 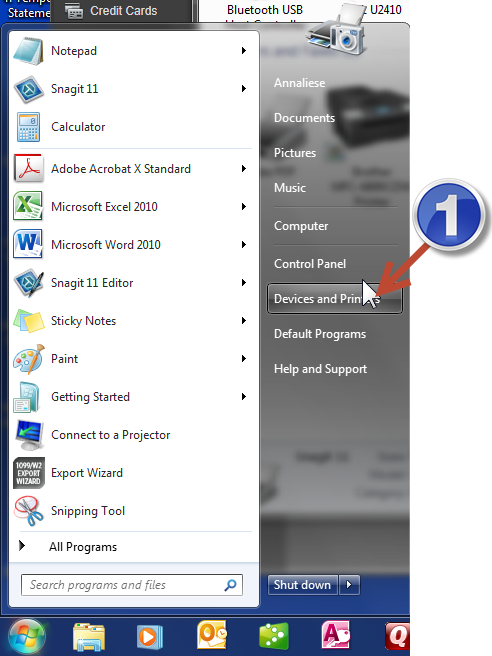 Print to the Micorosft XPS Document Writer and then print to Adobe. 1. 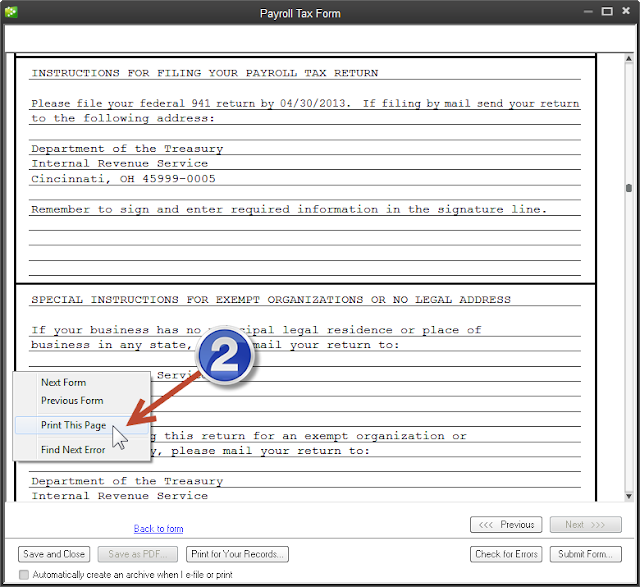 Select Print for Your Records from the tax form window. 2. Select Printer Setup from the Printing window. 3. Select the Microsoft XPS Document Writer from the list of printers. 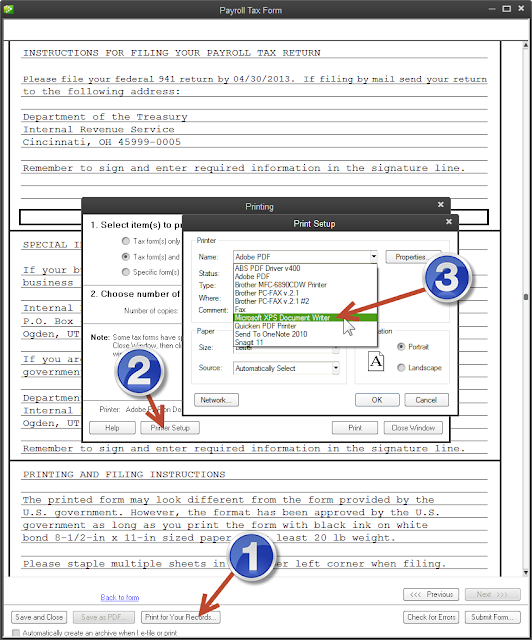 Print to Snagit then to PDF. 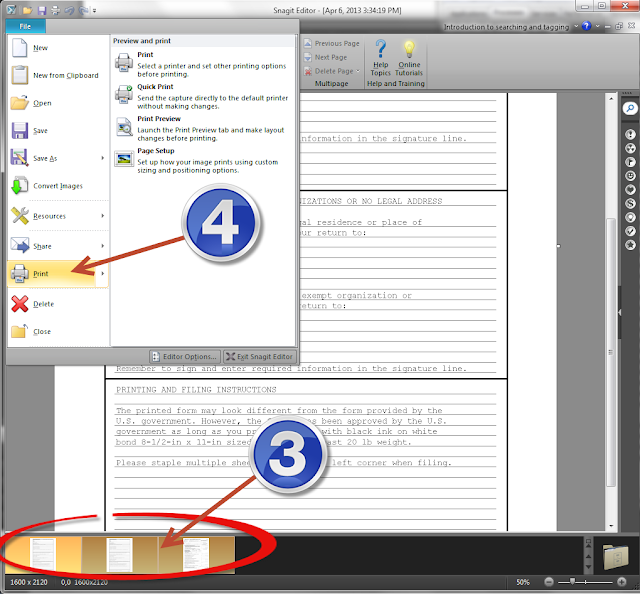 If you choose Snagit as the printer, you will only get the first page, even if you navigate to each page individually. For example, if you navigate to page three of the tax form and select Snagit as the printer, you will still only get page one. 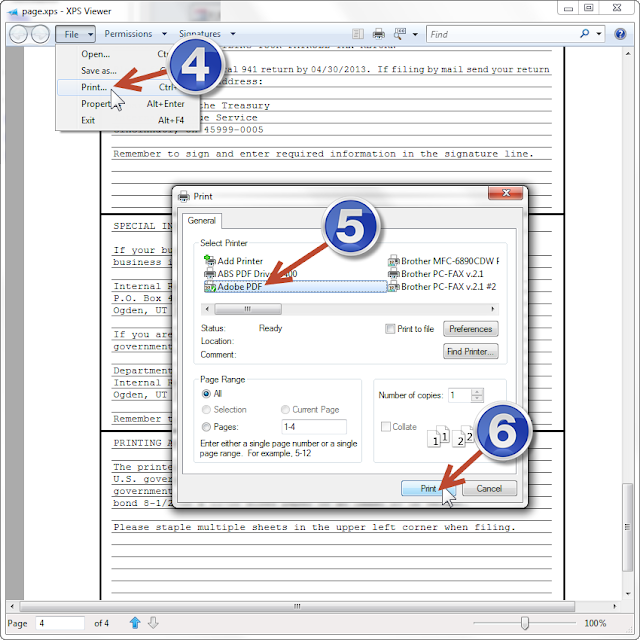 Follow these steps to print all pages to Snagit individually and then combine in PDF. 1. Set Snagit as the default printer. 2. 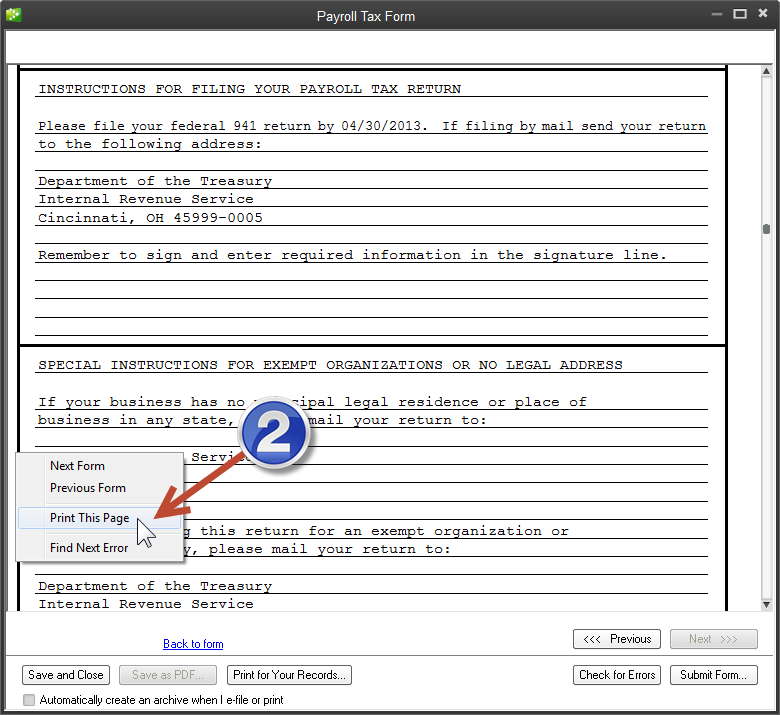 Right-click in the left or right margin of the page in the tax form that you want to print and select Print This Page. Repeat for each page. 3. 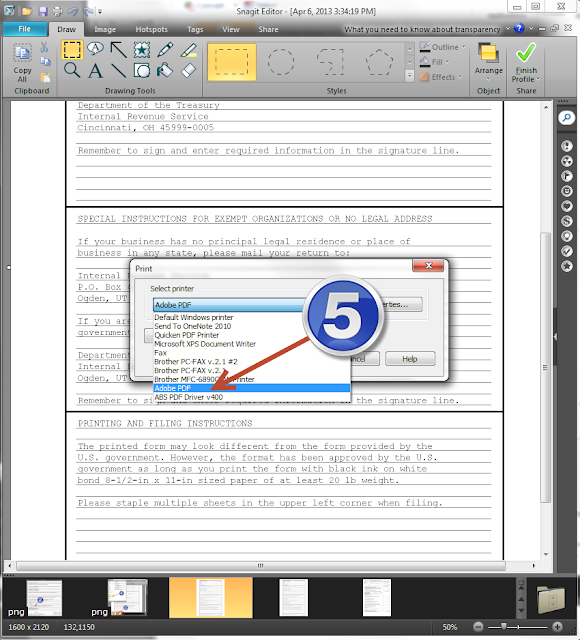 Navigate to the Snagit Editor. 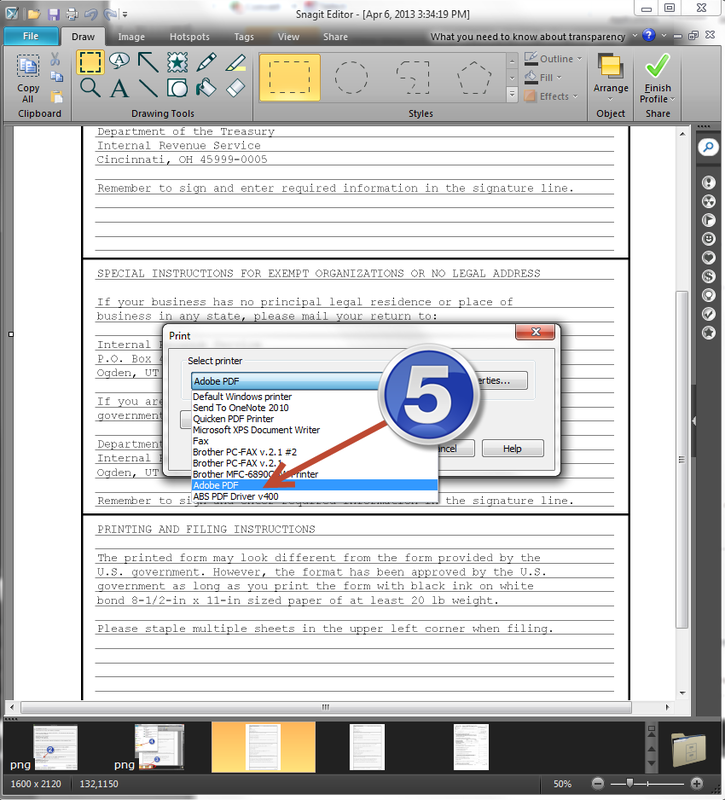 Hold down the CTRL key and click on each page you want to print to select it. 4. Select Print from the File menu. 5. Select Adobe as the printer and your highlighted pages will be combined into one PDF document.